Lovelies! Here I am for my very first DIY tutorial. 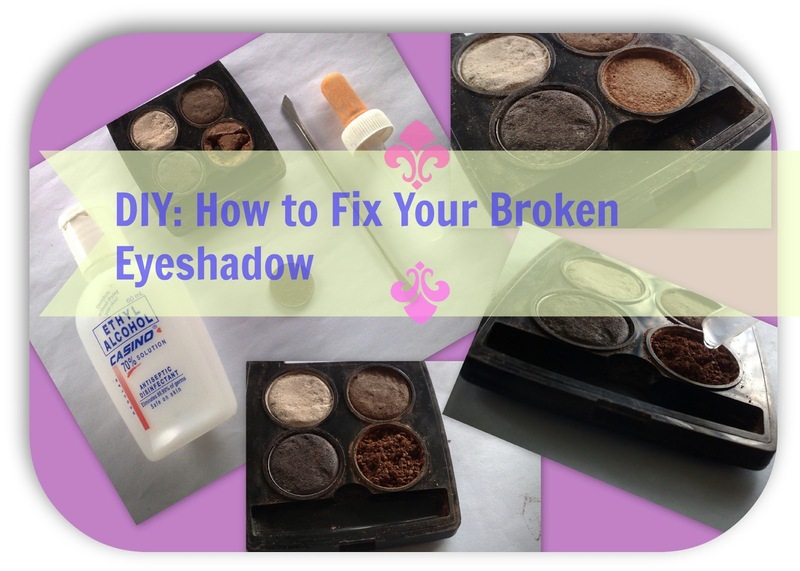 If you have broken eyeshadows, do not throw it because this tutorial will help you repair and bring back the texture. It was an eyeshadow sent to me by my sister when she was still in Japan. I really love every color in this palette but i accidentally dropped this a month ago. I was about to throw it away when a friend of mine thought me how to fix shattered eyeshadow. Here in the picture below, you will see my broken eyeshadow. It is not actually that worst when I dropped it, my son just found it broken so he played with it and scratched it with his finger. That is why it ended up looking like that. First, using the pen or any sharp material that you have, smash all the remaining bits until it is completely powderized. 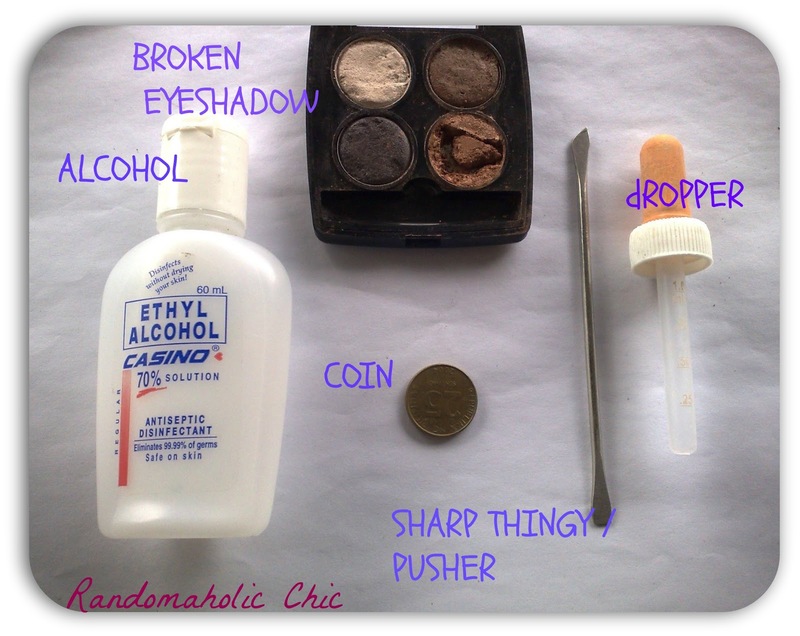 Drop a small amount of alcohol to the powderized eyeshadow. You do not need a lot of alcohol. Just drop a few. I just put three drops here. You can use dropper or a spray bottle. 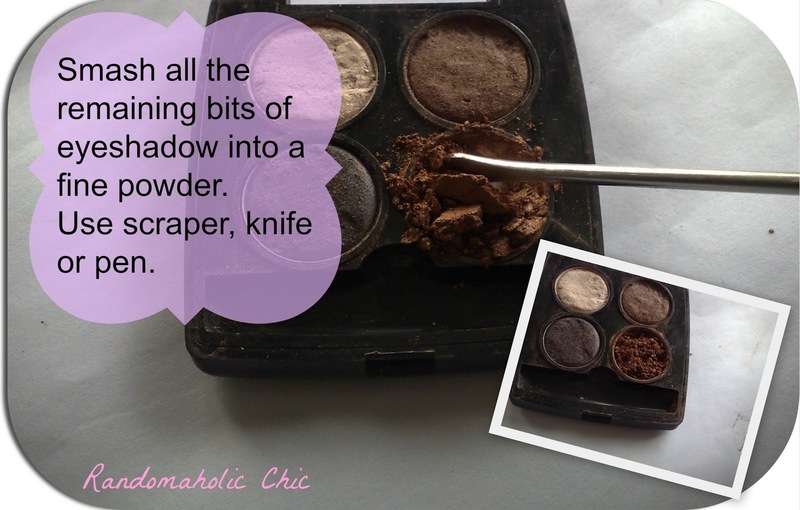 Cover the coin on a cloth or tissue then pushed as hard as you can on the powdered eyeshadow. After 45 seconds, pull your hand away and gently peel away the tissue or fabric with the coin. Here is the finish product!! Tadaaa!!! I am so sorry about the mess, hihi :D.
I really hope this tutorial helps you get an idea of how to fix your broken eyeshadow or blush on. It saves you money because you do not have to buy a new one. Yehey!